Having narrowly missed out on promotion during the previous season, the 2007/08 campaign proved to be a disappointing one for Seaford, as they struggled for long periods of the season and only narrowly avoided the drop. Whilst Alan Zambra was able to name a reasonably consistent line-up during the early weeks, results were poor, with only a single victory, at home to Dublin Bus, to show for the entire first half of the season. The bare facts told their own story: Seaford kept only one clean sheet all season, and no player managed to score more than once in a league match all season. The turning point came on a bleak morning in December at Coldcut, as Seaford completed the double over Dublin Bus courtesy of a long-range strike from Muiris Healy. That spurred a sudden resurgence in form, as Sallynoggin Celtic from a division higher were comfortably dispatched in the cup, before further league wins at home to Rathfarnham Punters and fellow strugglers Brighton Celtic all but secured safety. But only just, as Seaford failed to win another league match all season, stumbling over the line with a late season draw at Ballyoulster. 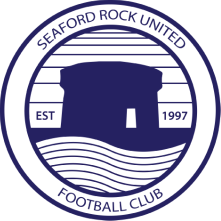 Seaford got off to a flying start in Division 3, with back-to-back wins at Rockfield Park without conceding goal, against Mourne Celtic and local rivals Blackrock College, Mark Hanratty on target in both matches. Issues in defence would put paid to any ambitions of a title challenge however, as the team went through a number of keepers before eventually the reliable Conor Wallace came in for the latter part of the season. By that point, the team had found itself in a relegation battle, as they failed to build on their initial successes, going winless until deep into the winter. Tom Maher's side at least showed their battling qualities with a series of draws, as the disappointment of throwing away a 2-0 lead at Phoenix was followed up by a comeback of their own, fighting back from two behind to secure a 4-4 draw at Phoenix courtesy of Barry Lyons's last-gasp penalty.